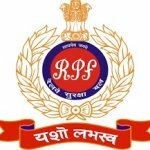 RPF Constable Syllabus 2018 – Candidates seeking a job in Railway Protection Force as a constable would know that the RPF Constable Recruitment 2018 has started and the last date for application has passed on. Hopefully you have successfully completed the application process and are in line to write your entrance exam. We at GovtJobIndia.com present to you the RPF/RSPF Constable Entrance Exam Syllabus for 2018. 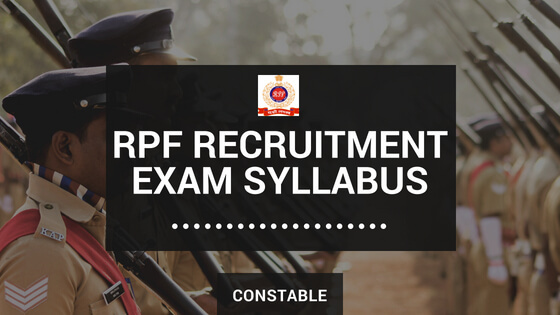 Candidates can prepare for the Constable Entrance Exam by referring to the RPF Constable Entrance Syllabus pdf provided by us in the link below. So don’t forget to download the Railway Protection Force Constable Entrance syllabus Download Link in this article. We have also provided aspiring candidates with a detailed overview of the Entrance 2018 Exam Pattern. We hope that with the help of the Study Material we have provided in this article, you will be well prepared to crack RPF Constable Entrance 2018. So do not worry as the exam date nears and stay calm and composed. Anyone has the ability to crack any entrance exam as long as they have spent time preparing for the exam and are in a calm frame of mind. Don’t forget to check out the official website of RPF for any additional information you may need. We have provided a very concise article about all your preparation requirements and also provided a download link for the RPF Constable Entrance exam 2018 Syllabus pdf. We have provided a detailed article regarding the recruitment details for RPF Constable and SI recruitment 2018 and read through the entire list of Eligibility, Application details and Job Profile which we have provided. Also for those who have already applied, we have given below a general overview of RPF Constable Recruitment 2018. The exact structure of the paper pattern is described in the table provided below. Candidates are urged to take a glance at it for an idea as to how the marking scheme will be for RPF Constable Entrance exam. Negative marking: 1/3 negative marking for every wrong answer during the Online written exam. The Physical efficiency test will not be based on the marks (which means that marks won’t be awarded for this), but is just qualifying in nature. So check out the requirements for the Physical efficiency test. Sub Inspector female (Exe) – 4 min 9 ft. 3 ft.
Constable 5 min 45 sec — 14 ft. 4 ft.
Constable female _ 3 min 40 sec 9 ft. 3 ft.
Constable Band — 3 min 40 sec 9 ft. 3 ft.
Ancillary Staff — 3 min 40 sec 9 ft. 3 ft. Candidates are reminded that attaining a high enough written examination score is the only way they will be selected for the Document verification. So we have provided a detailed list of all the subject and topics which will be of prominence in the RPF Constable Entrance Test 2018. Please go through the South Indian Bank Entrance Exam syllabus provided below. Keep in mind that there are only 8619 posts up for grabs. Do not gloss over a single topic in the list given below as we greatly desire that you are selected for the job. Candidates must note that they will have to give in their educational qualification, age, SC/ST/OBC status, where applicable (on the format prescribed in the advertisement), domicile and any other extra curricular activities including NCC during the time of the Viva. The candidates who fail to produce their documents for the documents verification procedure will not be taken into the next step of the selection procedure. We insist that candidates check out the question paper of previous years before they write the entrance exam as they will provide the candidate with a general idea as to what sort of questions are asked and also familiarise them on the question paper layout. Also don’t forget to check out what the cut off marks were in the previous years. We hope that the information provided is to your liking and we hope more than anything that you get allotted for the post of Constable in Railway Protection Force 2018. So don’t worry, stay calm and dedicate a small part of your time every day for your preparation. The exam will come and go before you know it and we hope that in a couple of month’s you will be sitting in your closest RPF Branch as their latest Constable.